Tin is expensive – and too many IT managers still spend their time and resources managing under-utilised infrastructure assets. Estimates suggest server utilisation can be as little as 20 percent and sometimes even lower. Let’s think of underutilisation in another way. If your company needed 20 new smartphones, would you buy 100 and keep 80 in their boxes just in case they were required? The answer, of course, is no. The unused smartphones would get outdated quickly. And if you needed a new device, your business would be better-served buying technology on demand. This transition requires a switch in accounting from a focus on capital expenditure to operational expenditure. This pay-as-you-go model means your business only pays for the tech it uses, when it uses it. It’s often a great fit for smaller firms with cash flow constraints. In business terms, the move to a pay-as-you model provides other benefits. You’ll gain an agile approach to technology procurement that is fit for the digital age. Think of the example of buying computing resources for testing and development. Your IT professionals might need additional storage capacity to test a new customer-facing application. Rather than buying a new server, your team can scale up into the cloud and buy additional capacity on demand for the test period. Once the development is complete, your business can either scale down its resources or – if the test is a success – put the service into production and possibly even add more capacity to suit requirements. The scalability of the cloud isn’t just a benefit when it comes to innovation and trialling new services. As your business grows, it requires new technical resources. Moving to the cloud makes it easy to purchase new infrastructure and apps as employees or contractors join. Once in situ, employees can use the cloud to work from anywhere. Employees can connect to a suite of productivity applications through their connected devices. That’s a great boon for small firms, who can ensure workers stay connected on the road. It also makes it possible to create a virtual office, where workers are connected from any location, reducing the requirement for costly physical offices. Relying on external cloud provision brings its own benefits. Your chosen cloud provider will be an expert in its own technology, so your staff can rely on them to learn and work smarter. 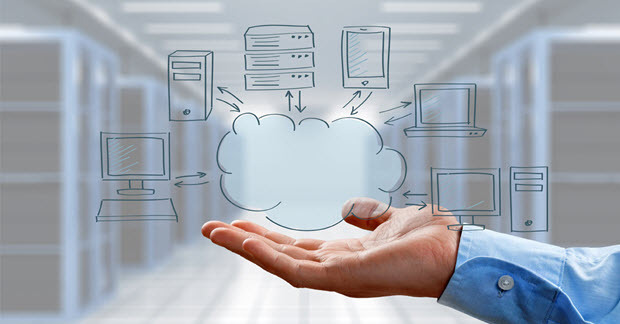 External cloud providers will dedicate big budgets to managing and maintaining services. These firms take the strain, so your firm doesn’t have to. With the right partner and the right strategy, your small business can use the cloud to both cut costs and keep ongoing expenditure lower. You don’t have to spend loads of money on tin you’ll never use. In fact, in a digital age – where flexibility and agility are likely to be the watchwords for success – moving to the cloud might just be the key to long-term growth for smaller businesses everywhere.